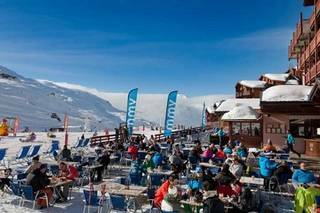 Ski hotels in La plagne : compare ! From your hotel to cheap skiing in La Plagne, come enjoy all the joys of winter sports! Come and practice bobsleigh, walk dog sleds, snowshoes, introduce you to the ice waterfall, visit an ice cave, or go sledding! Located in the Valley of the Tarentaise, the resort of La Plagne will surprise you by its ski area and the great diversity of its landscapes. On the 10,000 hectares of the estate, prepare to enjoy great winter sports during your stay in the hotel, and let yourself be seduced by the breathtaking view of the peaks of Europe. The ten resorts that make up La Plagne offer you the services and the shops that will allow you to appreciate even more your stay in hotel of ski in La Plagne. Through various routes, admire varied landscapes, the most beautiful European summits invite you to a long contemplation. After that, you will not want to return to your ski hotel rental! Ski Express helps you to book a ski hotel in La Plagne, compare hotel and ski hotels in La Plagne, rated by a member. You can orient the comparison by adding different criteria from our engine as a hotel with half board, full board, or with children's club.